Keep your air conditioning unit running. 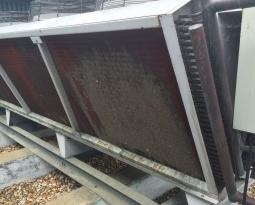 Service agreements and tune-ups or “preventive maintenance,” as is required by most A/C equipment manufacturers to fulfill warranty obligations, too often is poorly done by servicing dealers. Frequently, more harm is done than good. 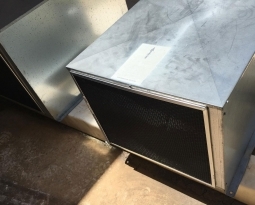 A short time back I was asked to look at some A/C units that were mounted atop a medical outpatient surgery unit in Tampa, Fla., and to find out why they were drawing so much electricity and no longer cooling as well. 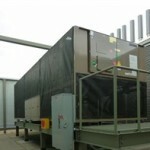 When I got there, I found eight rooftop units that were about 5-years-old and at the edge of their warranties. 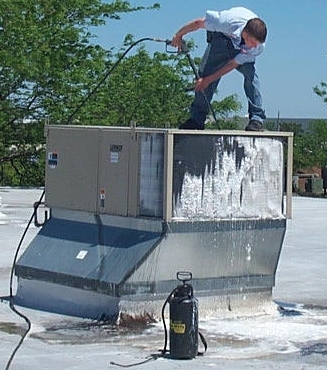 Although a reputable local contractor had serviced each unit twice a year, something clearly was wrong. 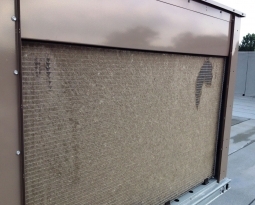 A quick look at the condenser (outdoor) coils indicated the source of the problem. They all were eaten away! They were not located where there was a salt spray or other sources of corrosion. It was the chemicals used to clean them that had caused the destruction. I lightly brushed the coil with my hands and the fins just fell off. 1. The aluminum fins dissolve. 2. The bond between the copper tube and the aluminum fins is destroyed by electrolysis. How would something like that happen? Take a look at the ingredients in the “coil cleaning” solutions you sell. I don’t know how they get away with it legally, but most foaming “brightening” coil cleaners sold in our industry have just one active ingredient, sodium hydroxide (lye). Yet, the bottles clearly are marked “safe,” “non-caustic” and “contains no acids.” Of course, lye contains no acids. But is it safe? Go ahead and read the warning label. Yes, lye is caustic. What does lye do to aluminum? The drain-cleaning brand “Draino” used to contain lye in order to cause it to foam inside drains. And yes, the fact that the coil-cleaning product is lye-based is proven by the fact it is advertised as a foaming brightener. The lye foams by destroying the protective aluminum-oxide outer layer. I know that you sell this stuff and will continue to do so as long as your customers ask for it. However, a mild soap solution or a degreaser is a much better alternative. Each cleaning with a corrosive solution knocks years off the coil life while greatly reducing its efficiency and operating capacity. 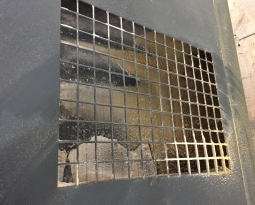 Try A Better Solution from Permatron – Custom-fitted washable filter screens, like our PreVent product, can easily be installed on the outside of cooling equipment to prevent contaminants from reaching the fins and coils in the first place. 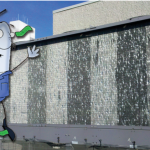 Maintenance is simplified – simply clean the filter screen with a shop vac or brush down with a broom. How much are dirty coils costing you?